Nosson Sternhartz, known as Reb Nosson, was Rebbe Nachman’s leading talmid (disciple) and scribe. If not for him, we wouldn’t have the Rebbe’s teachings today, at least not in such detail. Like Moses, Rebbe Nachman is often compared to the sun, and like Moses’ student Joshua, Reb Nosson, is compared to the moon. We’re taught the moon reflects the light of the sun, having no light of its own. But the moon’s reflected light is powerful— it is charged with illuminating the dark of night. But to me, Rebbe Nachman is simply the Tzaddik, the soul. And, Reb Nosson is the heart. His mission was, at least in part, to reveal the heart and soul of Breslov Chassidus. By doing so, he also managed to show us his own heart, the Tzaddik’s heart, and our own hearts, too. Reb Nosson does this through his letters and especially through his collection of deeply personal prayers, more like prayerful meditations, which are based on the Rebbe’s teachings. Called Likutey Tefillos, this extensive work contains a prayer for every possible occurrence in a person’s life. Whether you’re wrestling with inner turmoil or struggling with outwardly manifested obstacles, Likutey Tefillos is the beating heart of Breslov Chassidus. You’ll immediately notice when reading through or saying one of Reb Nosson’s prayerful meditations*, the lack of sophistication and pretense. Though the language is refined and pure, the prayers pulse with honesty, as well as emotion, pleading, love, yearning, hope. The prayers live. One of the biggest obstacles to being truly alive is timtum halev, a spiritually clogged heart. This is, today, epidemic. Perhaps you’ve secretly sensed that now the world is hurtling through time, spinning you into a future we can only imagine. To shut down emotionally? To throw yourself wholeheartedly into pursuit of pleasure and comfort which simply can’t last? To take on causes that are somebody else’s to fight? To give up and feel mean, angry, sad most of the time? To become bitter? To believe there’s nowhere to turn? To pretend that this is it, there’s nothing except this short life in this limited body? To throw sincerity out the window? To turn your back on your soul and your hidden spiritual possibilities? To stop even hoping? If you answered yes to any of these, you might be experiencing timtum halev. The antidote, though, is at hand. Reb Nosson’s prayerful meditations, said either by themselves or used as a jumping-off point into your own unique prayerful meditation, spoken in your own words, is a surefire cure. It may not happen immediately, though it might, but if you persevere, if you don’t give up, your heart will renew itself, and that spiritual sludge will melt away. Reb Nosson poured out his heart on paper for those of us who feel blocked, unable to even imagine or articulate what’s bothering us. His heart is the key to unlock your own. Also, Through Fire and Water, Chaim Kramer’s biography of Reb Nosson. 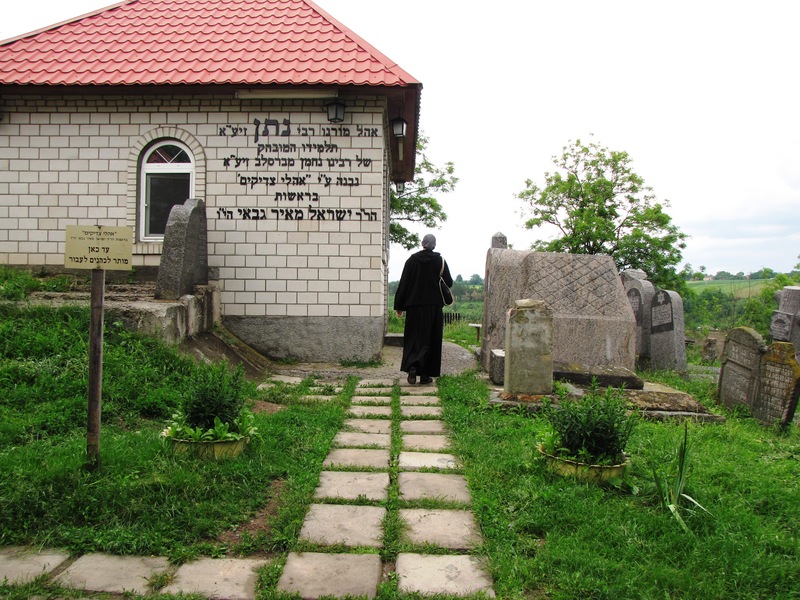 Dedicated in honor of tonight, the Hillulah (Yartzheit, anniversary of the death) of Reb Nosson of Breslov, zecher tzadik livracha, by Efrat bat Malka.